Mark Andy traveled to Prague to attend Reklama Polygraf, a three day trade show in the Czech Republic. This year the event occurred on 29-31 May. As the only trade fair of its kind in the Czech Republic, Reklama Polygraf focuses on advertising, media and printing, providing professionals and businesses a space to discuss, collaborate and attend various workshops. This year was Reklama Polygraf’s 25th year. Due to its long history, the trade show attracts a high attendance of professionals and exhibitors and continues to grow in size each year. Many attendees have backgrounds in advertising, sign-making and printing. This year was Mark Andy’s first year in attendance and we are proud to report great success. 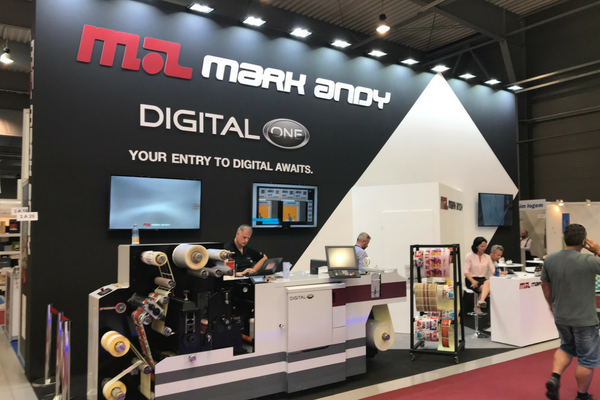 Reklama Polygraf gave our business the opportunity to meet potential new customers in Prague, as well as showcase the advantages of printing on a Digital One and using True Hybrid technology. 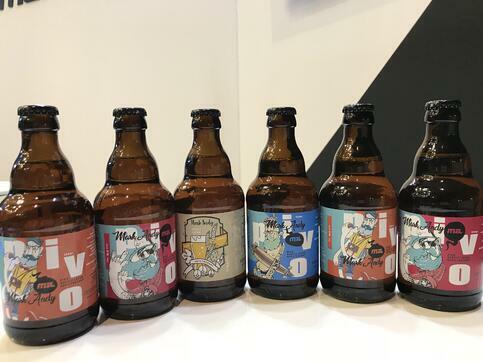 The Czech Republic is a growing market for label and packaging production, with many businesses seeking to modernize equipment or expand into the space. 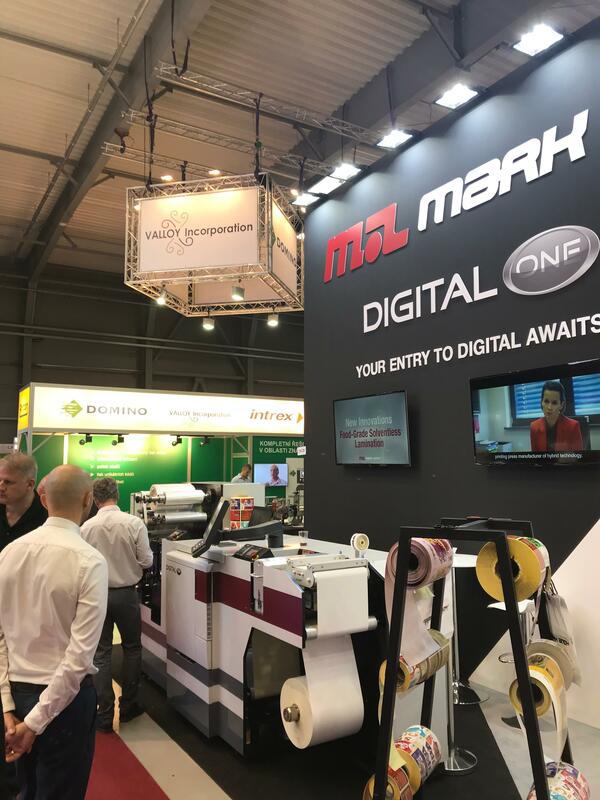 Since many of the interested customers had never printed on a Mark Andy press before, the team conducted live the Digital One press. Digital One is a label press designed to free up capacity on high output flexo presses and bring greater efficiency to fast turnaround work. 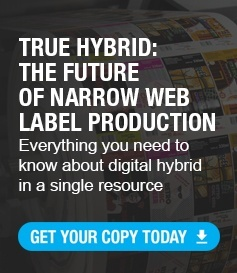 Built specifically for short run prime labels, it makes digital printing more accessible to businesses of all kinds. 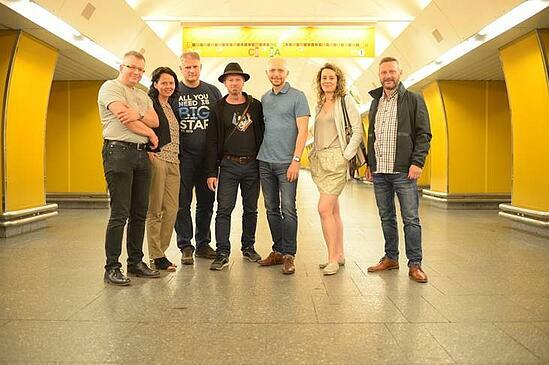 During Reklama Polygraf, the Mark Andy EU team reported that visitors were incredibly positive about the platform. The press was appreciated as a versatile “all-in-one” solution that can be operated by a single person. Built on a robust frame and combining the digital printing with finishing, value-add labels are easily achieved. Mark Andy EU team members were on stand to help customers throughout the duration of Reklama Polygraf. Chmielewska was responsible for the booth in its entirety and provided booth support during the three days of the trade show. Łukasz Chruśliński and Artur Gondek (Rotoflex) provided help sales consultancy and application support. Bogusław Królak, experienced printer and technician, provided all visitors with exemplary demonstrations on the machine. The booth had two representatives from Enginne, Radim Krutis and Susanne Krutis, our agent in the Czech Republic and Slovakia. Artur Cajler of AVT was also on-stand, presenting information on the vision control systems that power Mark Andy presses. Enginne is an exclusive distributor of Mark Andy Inc. and our portfolio of brands in the Czech Republic and Slovak Republic. As of 2018, Enginne has already installed two new flexo presses in the region, and anticipates many more to follow suit. Radim Krutis, Head of Sales for Enginne, shared that the company’s goal at Reklama Polygraf was to spread brand awareness throughout the country. As the printing industry grows in the Czech Republic and Slovakia, Enginne is helpful in building and strengthening relationships with printers. With over 20 Mark Andy presses already up and running in the region, it is clear that the Czech Republic and Slovakia value quality equipment and responsive service teams. Mark Andy took home the prize of “TOP EXPO” booth at Reklam Polygraf, being appreciated for approaching the booth project and elevating the overall level of this exhibition. We could not have accomplished this without our hardworking and dedicated Mark Andy EU team. There is a demand for profitable and reliable machines in digital hybrid, flexo and offset areas and we look forward to expanding our international footprint and working with potential customers in the Czech Republic and Slovakia.